There is still some tweaking involved here and there but for the most part, it is done. First, though, let us refresh our memories a little with the before pictures from the original post here. 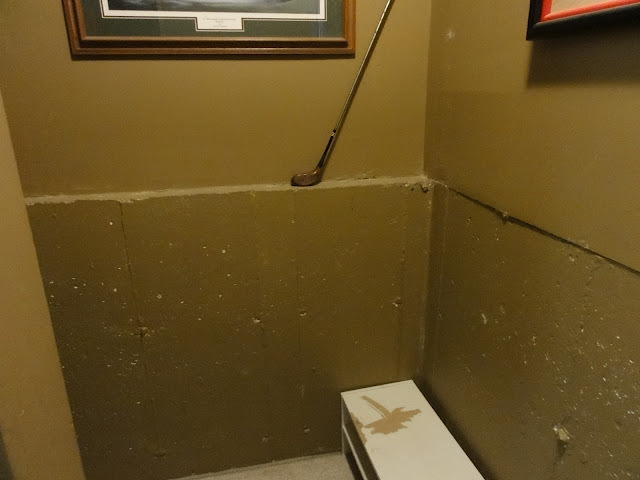 Oh, and yes, I did take the picture when my basement was looking the worst it could possibly look. Not ashamed to say it, I wanted the reveal to be dramatic. 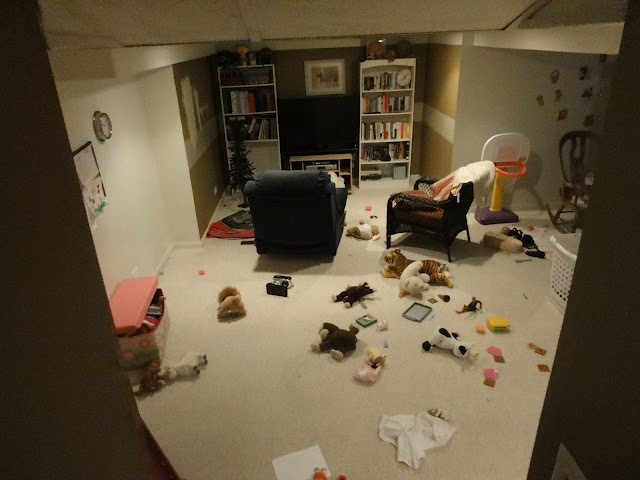 But I did not toss those toys around myself. 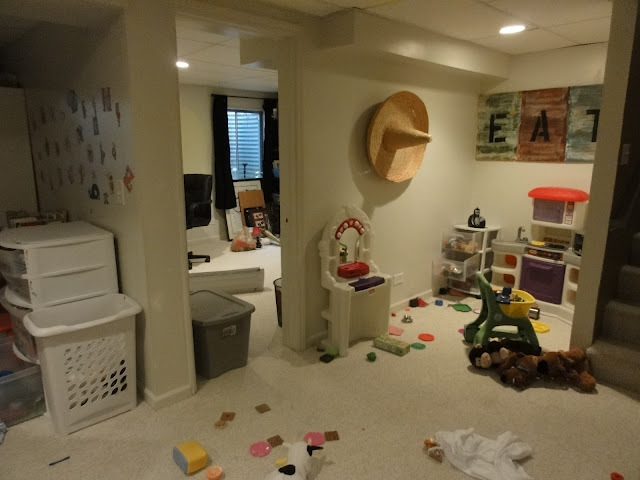 My kids love to make a mess. It just looks sad, doesn’t it? …again, taken in the night by the toys…..
It’s almost embarrassing to look at now. 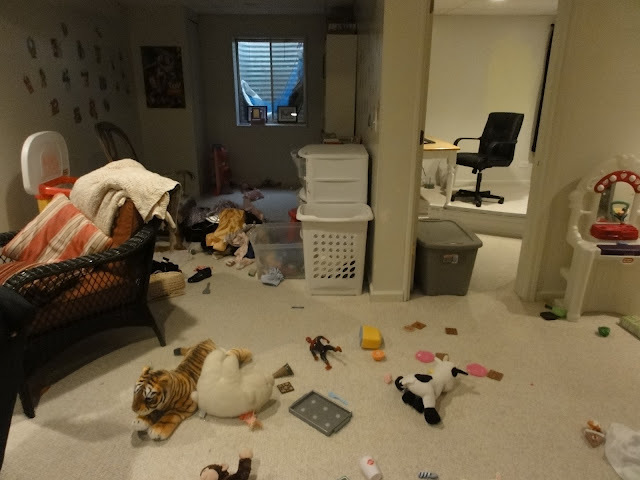 The former toy area turned tween hang out area/office. And now I am off to take a nap. 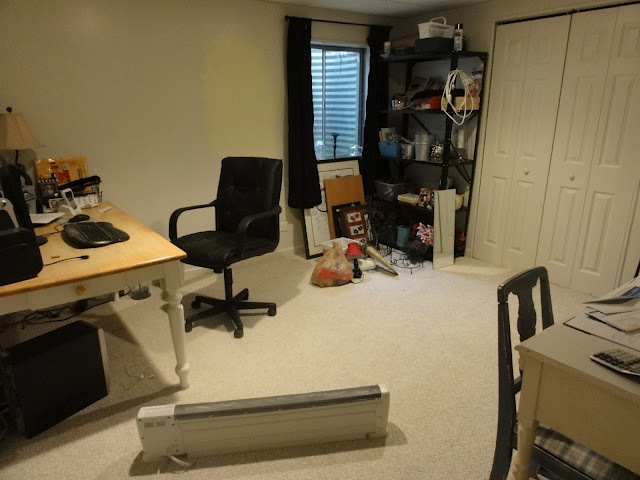 I will do a separate post about all the little details next week with prices and my final cost to improve our basement on a budget! Love the remodel! Looks incredible! I just wanted to pop by and let you know I got the flowers at Trader Joes! They always have great flowers for cheap! I should have mentioned that in my post…but I fixed it now thanks to your comment! Wow, its so much brighter! looks great! Thanks so much for linking up and grabbing a button. Be sure to like us on facebook for contest updates and winners! Thanks so much for having me Jocie! Love the transformation! Beautiful job on the details – looks like a great place to be comfortable and to play!